Nhà cung cấp: Amazon.com - giá Amazon: 31.99$ - want it delivered wednesday, april 24? choose two-day shipping at checkout. see details WeLOC (We Love Our Customers) - giá Amazon: 53.5$ - arrives between may 1-9. Grand River Mart - giá Amazon: 53.51$ - arrives between april 29 - may 2. ReliableMarketplace - giá Amazon: 61.16$ - arrives between may 1-8. GKM Commerce - giá Amazon: 67.59$ - arrives between april 30 - may 3. Supply Cart - giá Amazon: 67.6$ - arrives between may 10-22. 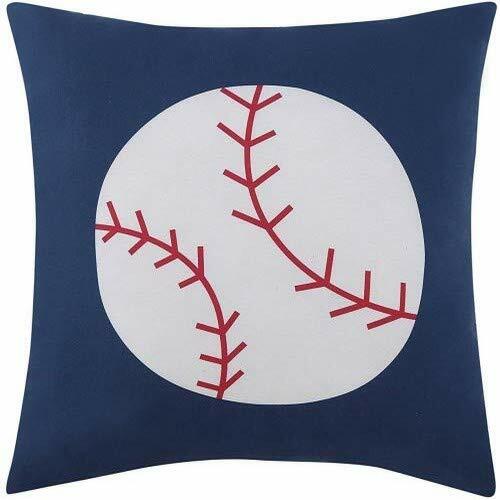 Bonus Decorative Pillow - Each set comes with a matching 16x16 inch decorative pillow. Children love the bright colors and classic motifs. 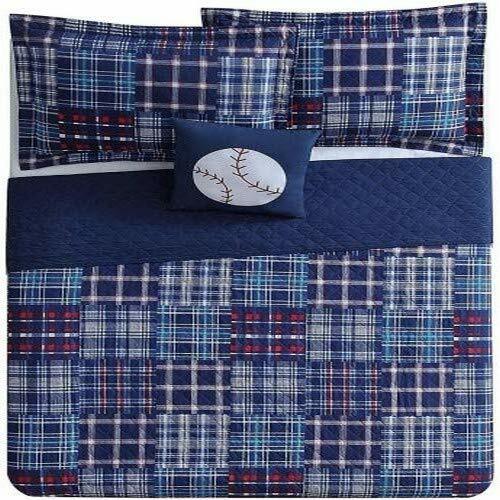 A Twin set includes 1 twin quilt, 1 sham, and 1 decorative pillow. A full set includes 1 full quilt, 2 shams and 1 decorative pillow. Make their rooms look neat and sweet with Laura Hart. Threadless Quilting - Heat press quilting allows for clean stitching; no stray threads; no pulling. Warming Year Round Value - Quilts are the perfect light layer in the summer and a great additional layer in the winter. Materials hold in heat to keep kids warm. Long Lasting - Microfiber shell and polyester fill holds in heat, keeps colors vibrant, and is more durable that other fibers. Stays soft and bright after many washes. Easy machine washable. About Laura Hart - As a mom herself, Laura Hart knows what kids want. 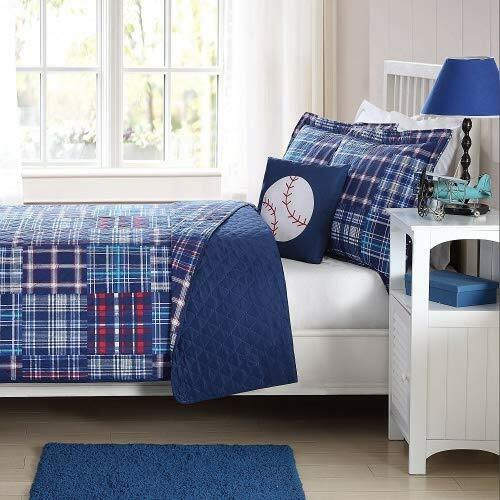 Cuddle up your little loved ones in bright colors and their favorite things - baseball and football, butterflies and flowers. See description for sizing details.